The U.S. Patent and Trademark Office has published a pair of patent applications from Apple describing system of switching between selectively updating part of an LED display and the entire screen, one that is described in each application's abstract as being useful for virtual reality or augmented reality headsets. The earliest application published on Thursday, titled "Displays with Multiple Scanning Modes," was filed by Apple on December 19, 2016. The second, under the same name as an adjustment to the first, was filed on January 10, 2017. It is advised that for each time a display updates, the circuitry inside the display will adjust every pixel in an LED or OLED panel to match the new image. As some displays have higher and higher resolutions, and in some cases a need to operate at high refresh rates, these situations can sometimes lead to unwanted artifacts appearing on the display, ruining the image. Apple's applications effectively describe a way to update only sections of a display that require changes, in a partial scanning mode. This can include dividing up a display into sections and leaving parts out of the next refresh if there are no changes or if that section isn't active at all. The earlier application of the two also mentions the possibility of the display's scanning driver still scanning disabled rows in the partial scanning mode even if they will not emit light visible to the user, to "ensure uniform transistor stress across the display." Both applications are credited to Shih-Chang Chang, Keitaro Yamashita, Shin-Hung Yeh, Ting-Kuo Chang, Abbas Jamshidi Roudbari, and Chin-Wei Lin, with Tsung-Ting Tsai, Ki Yeol Byun, and Warren S. Rieutort-Louis contributing to the December version. 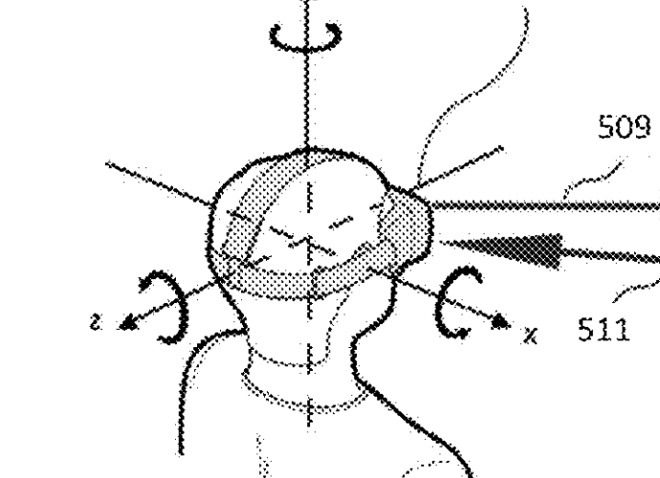 Notably, the abstract for each application states the electronic device with the display "may be a head-mounted device that provides a virtual reality or augmented reality environment to a user." The ability to partially update a display would be handy for VR and AR applications, as the higher frame rates it can produce has the potential of making the virtual scene more believable to the user, and minimizing the possibility of motion sickness. This is especially useful for AR, as such headsets would only need to have part of the screen updated at a time for the digital overlay, with the backdrop of the real world viewable in other areas of the display. Apple has been rumored to be working on its own virtual reality and augmented reality headsets for some time, and is thought to be planning to develop an AR device for a market release in 2020. In the process, it has acquired firms in the field of augmented reality, and alleged incident reports from Apple offices claim some employees have suffered accidents during tests of related hardware. While Apple is firmly believed to be working on these devices, it is seemingly not going to publicly release any details on its efforts in the near future. In an October interview, Apple CEO Tim Cook suggested the technology for an Apple AR headset "doesn't existing to do that in a quality way," citing challenges with display technology and locating hardware around the user's face in an appropriate way.